When we are still in the womb, our mothers spontaneously and often unknowingly connect with us through their touch. This first sensory experience is built on through infancy and childhood–touch is our primary means of learning about the world. Studies of under-touched babies in orphanages show that physical human connection is absolutely essential to growth, development, health and mental well-being. So…why are so many adult members of our society deprived of touch? Our society, particularly in this country, values personal space tremendously. We do not get too close to strangers…we ensure that there is always one seat between us and our neighbors on a bus. In fact, I am writing this at a Philadelphia coffee shop in which each person has taken refuge at his or her own table, despite the extra seats present! To be clear, I am not saying that there is anything wrong with a need for bodily autonomy, space or privacy. I am pointing out one result of this–we are touch-deprived. We need touch to heal. The above TED Talk, by Abraham Verghese, discusses the benefits of one-on-one touch in Western medicine. The physical exam is a dying art in our world of machines, tests, numbers and data. Continuing this idea…few people can deny improvements in their physical body after a therapeutic massage. Many state that their mental/emotional lives, too, are positively effected by massage. 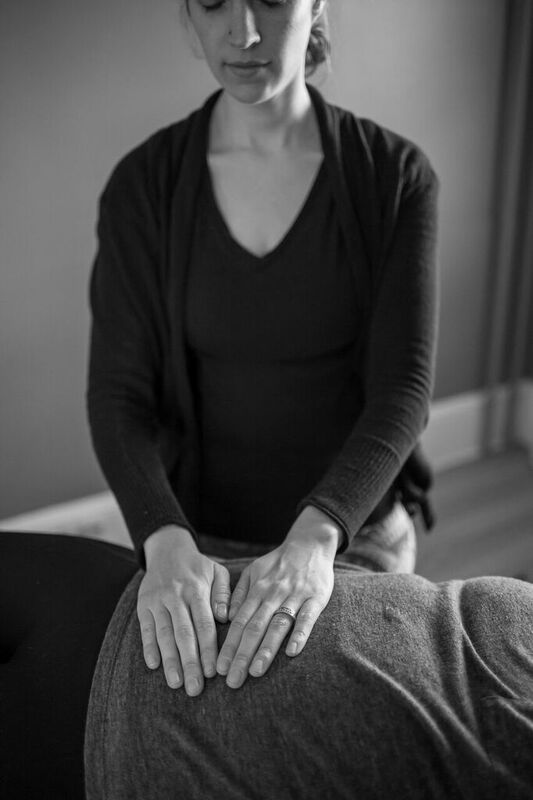 Reiki possesses many of the benefits of massage, but does not physically manipulate the muscles, joints or fascia. Pronounced ray-kee, it is a gentle, non-invasive healing practice that can be traced to early 20th century Japan, though similar methods were likely practiced for thousands of years. Rei, the first Kanji (language character), means holy, spirit, gift or sacred. The second, Ki, is translated as energy. Ki, the “universal life force energy,” is equivalent to the Chinese Chi or Qi. In India, the parallel concept is known as prana. During a Reiki session, the energy moves through the practitioner and is guided to the recipient. Reiki is an excellent treatment for relaxation, reduction of stress, and an aid in the healing of illness, injury or emotional distress– among many other applications. For those of us who practice Eastern healing art forms but appreciate Western, scientific explanations, Reiki might seems a bit too “woo woo” for our sensible minds. If the above evidence has not convinced you, I would encourage you to try this modality either by experiencing a treatment with a skilled practitioner or even learning Reiki yourself. My next Reiki Level 1 training/certification is happening May 21 & 22, 1:30–6:30PM in North Wales, Pennsylvania. Trainings for the first two levels of Reiki are scheduled a few times a year. There are no prerequisites for Level 1; you need only to bring your open mind and desire to encourage healing within yourself and others through touch. Yoga Therapy: New Trend or Original Intent?